The joint challenges of ensuring an adequate supply of good quality water to growing urban populations in conditions of climate change, aged infrastructure and tight budgets are driving water utilities to radical changes. The integration of novel approaches regarding smart metering, asset management, operational data and billing procedures is enabling a shift away from classical solutions focused on physical assets and towards innovative data-driven customer-centric business models. Leak detection and localization: where the focus is not only on how much water is lost but where and when. Asset management: how to leverage smart metering data into higher revenues, lower operational costs and deferred capital expenditures. 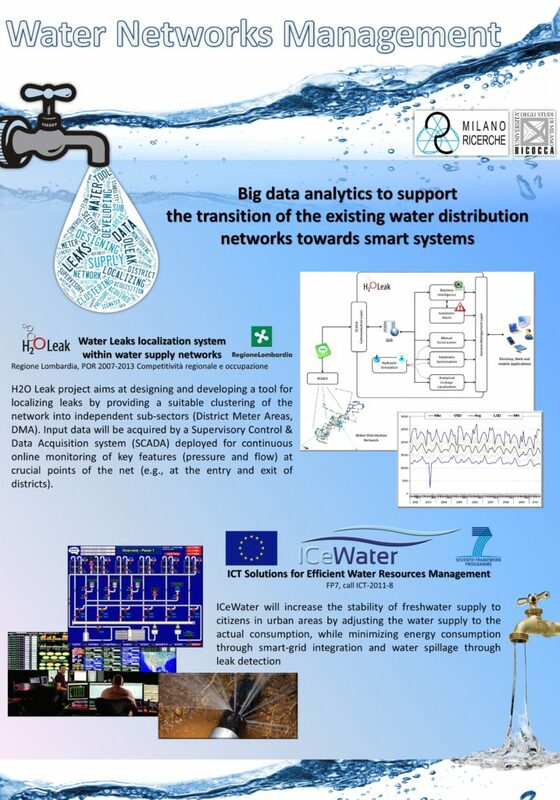 Additionally, problems of how to manage water distribution network resilience and how to support managers in budget constrained rehabilitation applications have been addressed through network analyses approaches. 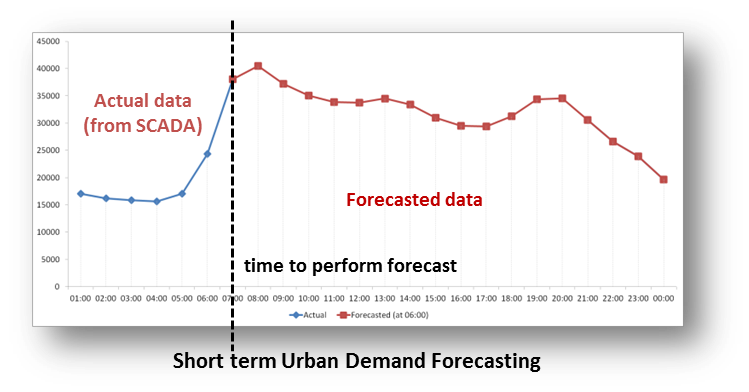 D emand characterization and forecasting: enabling a shift from uniform rates to conservation-oriented demand side management. Developed solutions are based on predictive analytics approaches and include both Time series clustering for pattern detection, and SVM (Support Vector Machines) based forecasting. CMR has been contributing to water research and innovation at both the regional level (project H2O-Leak) and the European level (project ICeWater). Additionally, CMR is supporting utilities and system integrators towards development of demonstrators and deployment of pilots in real world environments. Management of the water cycle under climate change and increasing uncertainty in the supply/cost/demand factors. Water-energy nexus where data intensive environments enable pressure management programs and optimized operations aiming at bringing up to 50% of reduction in energy demand for Urban water distribution systems.